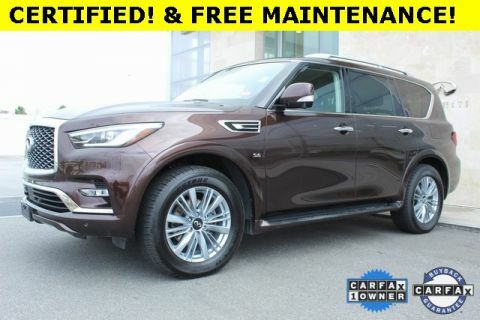 INFINITI QX80 LUXE - NAV - AWD - LEATHER - MOONROOF Certified. 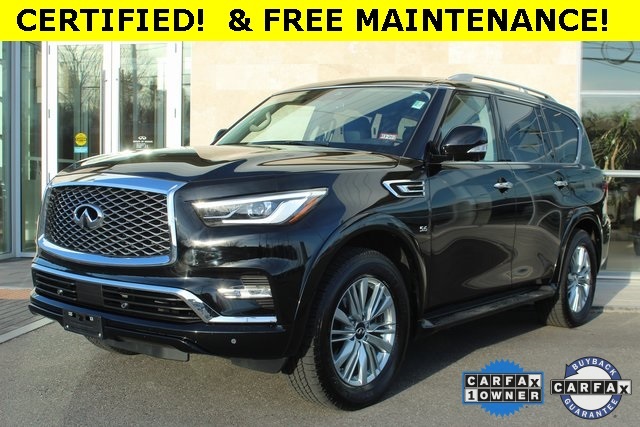 2019 Black Obsidian 5.6L V8 CARFAX One-Owner. Clean CARFAX. 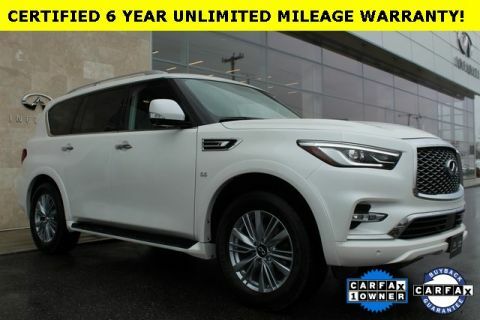 **ONLINE PRICING INCLUDES FINANCING THROUGH IFS AT STANDARD RATES**, *1 OWNER CLEAN CARFAX, **AWD**, NAVIGATION, **BLUETOOTH*** ***HANDS FREE***, ***MOONROOF***, **HEATED SEATS**, **HEATED STEERING WHEEL**, 6 YEAR UNLIMITED MILEAGE WARRANTY!! 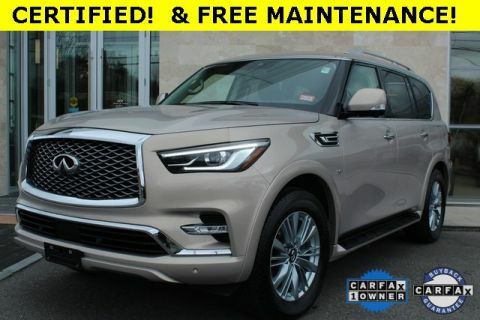 FREE MAINTENANCE! 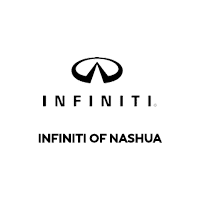 !, 13 Speakers, AM/FM radio: SiriusXM, CD player, DVD-Audio, Navigation System, Navigation system: INFINITI InTouch Navigation, Radio data system, Radio: AM/FM/HD w/Single In-Dash CD/DVD Player & MP3. Odometer is 2034 miles below market average!